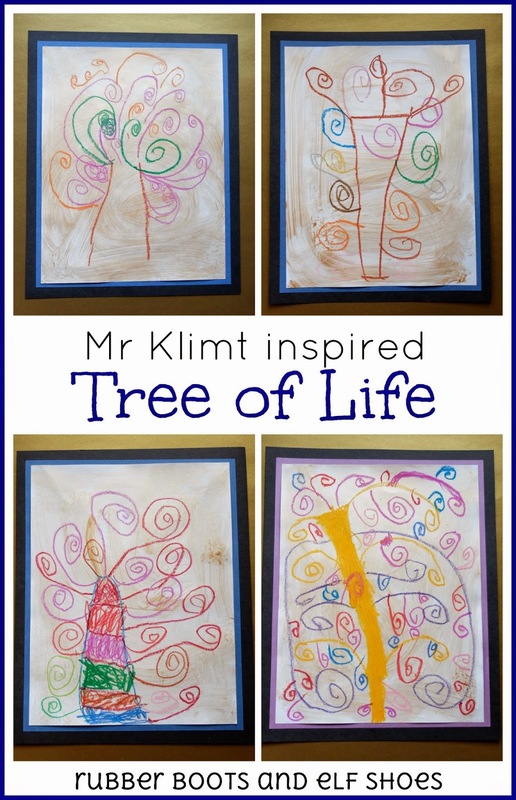 This week we "met" Mr Klimt. 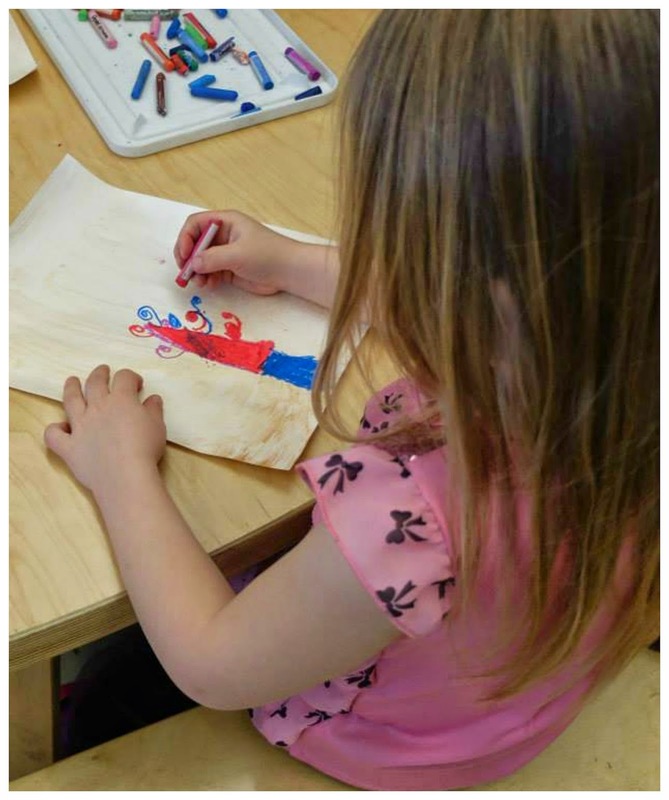 We learned that he liked to paint in a long smock and sandals (and not much else!). He used a lot of gold in his paintings. 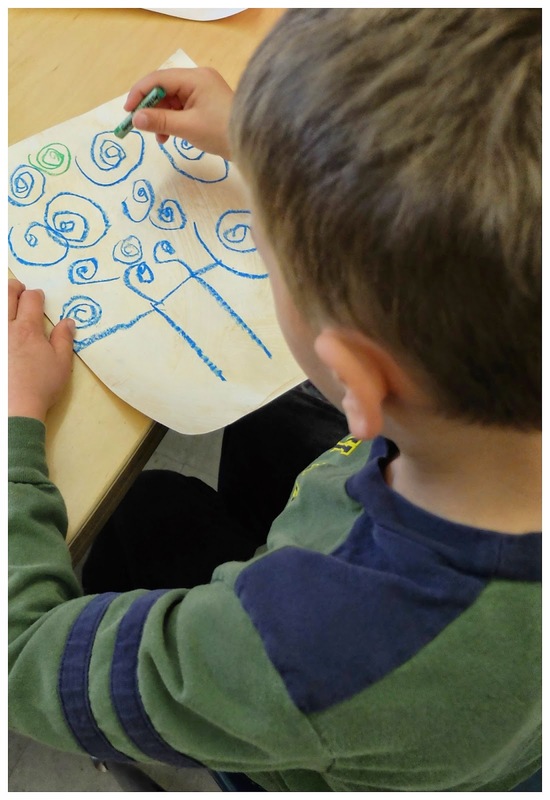 And we all love the feel of the curves and swirls in his Tree of Life. 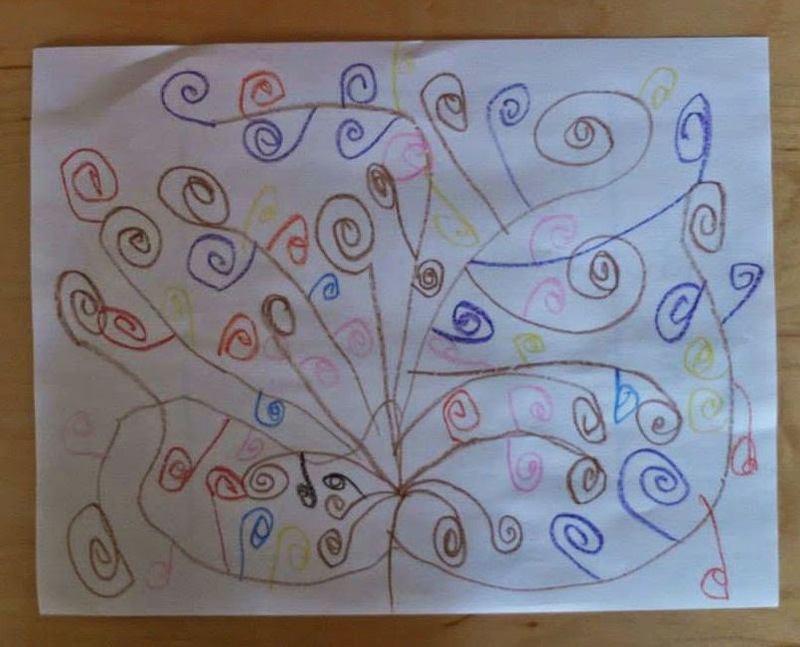 My plan was to paint our versions of Tree of Life the same way we did a couple of years ago. But that was then, and this is now. And this year's class is not the same as the kids a couple of years ago. And it is all good. 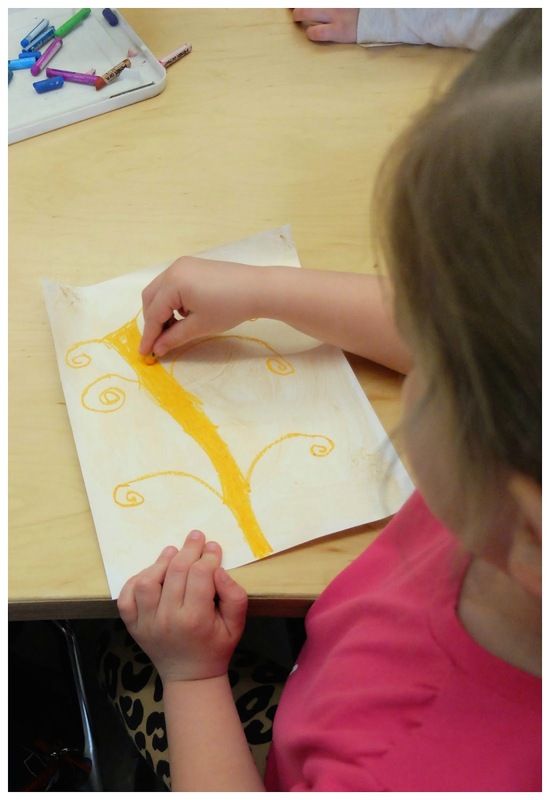 First we did a "practice draw" with pencils or crayons. And then someone asked if they could use different color crayons. Who could keep this artistry to a single color? Even if that color was gold. The plan changed then and there. Like Mr Klimt, we would use gold for the background. The kids wanted colorful trees. Trays of pastels on each table. Some with many big curls that fill the page. One with the people/statues on the sides. All created according to the artists' individual vision. 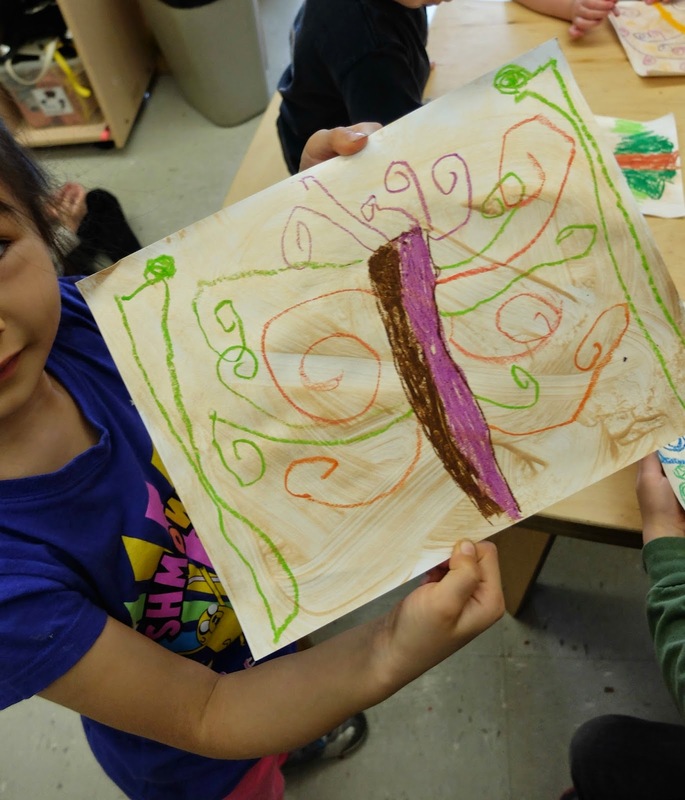 Take a look at other Inspired by the Masters art projects created by 5 year olds. 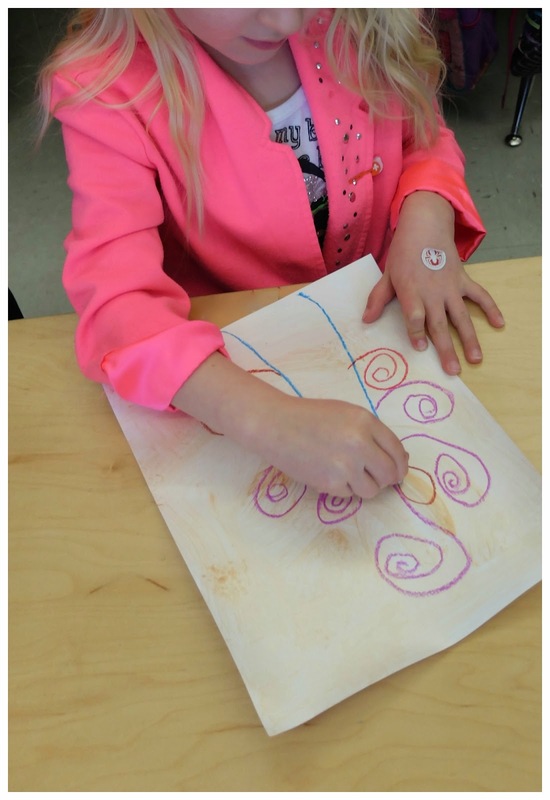 Follow my Art of the Masters - kindergarten style board on Pinterest. 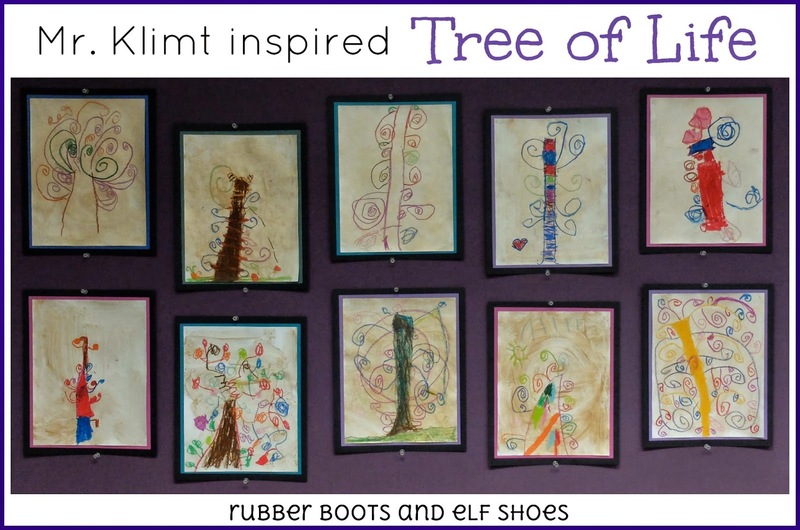 Follow Sandi @ rubber boots and elf shoes's board art of the masters - kindergarten style on Pinterest. Wow! I love these. Thanks for the inspiration! 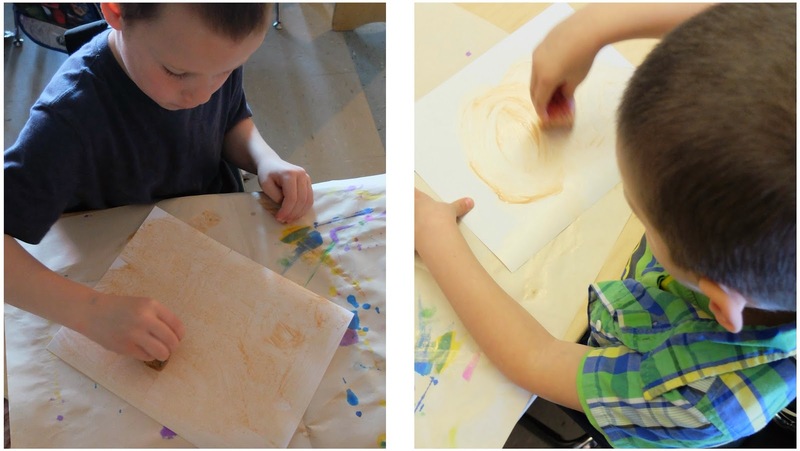 I love how you always let them do their own thing:) Art time must be a very happy time in your classroom.